Retro-inspired action platformer GhoulBoy is now available digitally in Asia & Japan. Available for PS4/Vita (Japan/Asia) and Nintendo Switch (Japan). As we mentioned recently, GhoulBoy is finally making its way to the Switch in Japan. The title is available right now, and Eastasiasoft has released the above Japanese trailer to promote the game. Remember, GhoulBoy is also available to grab on the Switch eShop in NA/EU. 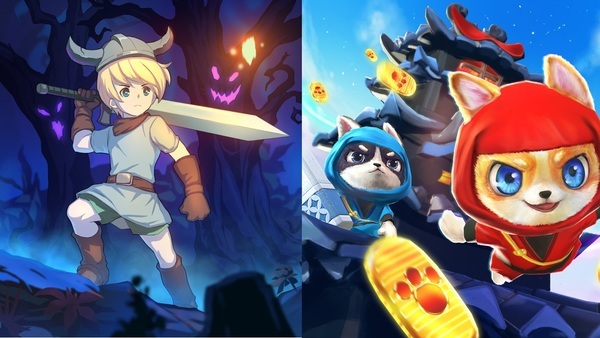 Two more titles will be hitting the Switch eShop in Japan on April 11th, 2019. Get some info on each game below. GhoulBoy is priced at ¥1,080, and the option to preload is now live. Preloading the game will get you 20% off the normal price, making the game ¥864. Doggie Ninja Kinpika Koban Dai Sakusen! is priced at ¥800. In this game, you'll play as a ninja dog who has to avoid cats while collecting coins. The game does include English support. 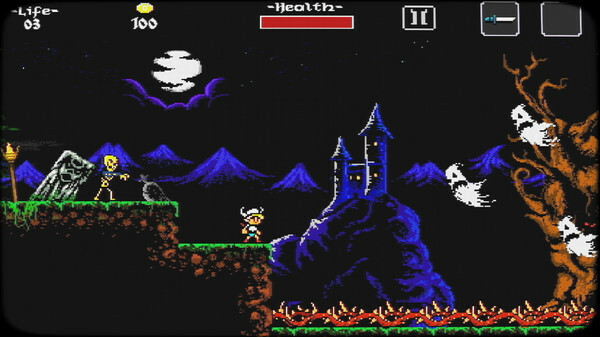 Ghoulboy is a retro-inspired style action platformer. Exciting new platformer that combines the action-RPG genre with hack 'n' slash gameplay. 2D action, heroic characters, gloomy environments, demonic bosses, these all seem to excite players a lot. Pixels will be combined with other cool retro elements and the result will certainly be something that will meet the needs of PC gamers. Once in-game, users will get to control a heroic character who will often be seen throwing a spear to create additional platforms. To boot, puzzle and combat elements will further enhance the experience. You wouldn’t want to miss out on it. With the gold that you collect, you can increase your health level, your arsenal of weapons to be thrown away. Ghoulboy brings back the look and feel of the very best classic retro platformers from the 90's, introducing refreshed and engaging gameplay mechanics. If you miss platformers from the 16-bit era, and think games nowadays aren't that good anymore, think twice! Ghoulboy is for you. Ghoulboy hits the Switch on Feb. 14th, 2019 for $10.